NewYork-based photographer Tricia Messeroux takes the cutest pictures of kids…. Her style or should I say specialty lies in taking pictures of kids dressed as celebrities!!!…. 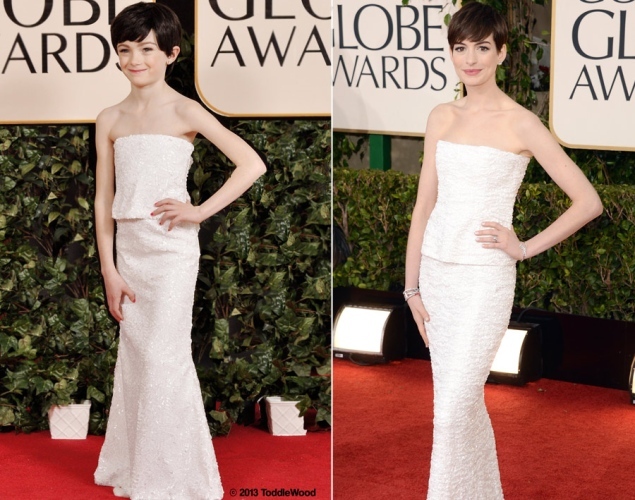 This year she recreated shots from the Golden Globes red carpet…. Check out her website Toddle Wood for more cute pictures… But not before checking out my favorite pictures from the Golden Globes!!! 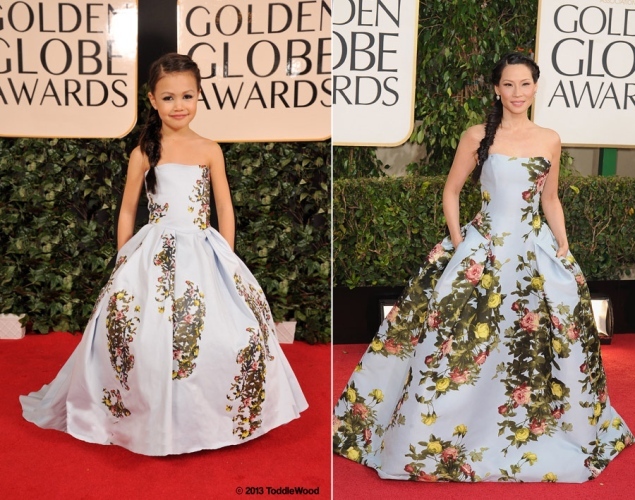 Last but not least Lucy Liu in a Carolina Herrera gown… This one is my favorite … I love the mini-me version of Lucy and think that she is just adorable… What about you? Who do you think looks better… the celebrities or the kids?